Home WoWFest: Queer Are We Now? WoWFest: Queer Are We Now? Event: Talk - WoWFest: Queer Are We Now? The Stonewall rebellion sparked the momentous gay liberation movement, one of the most important events in LGBTQIA+ history. 50 years on – as Trump turns the clock back and Chechnya systematically detains and tortures its supposed ‘non-existent’ LGBTQIA+ citizens, WoWFest19 asksqueer are we now? with a unique keynote speech from human rights activist Peter Tatchell. In 2018, Peter Tatchell was detained in Moscow after holding a one-man protest against Russian treatment of the LGBTQIA+ community. He joins WoWFest for a special keynote speech responding to the current state of global LGBTQIA+ rights. 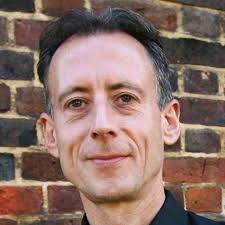 Founder of The Peter Tatchell Foundation, which seeks to promote and protect the human rights of individuals, communities and nations, Peter has been described as ‘a national hero’ (Sunday Telegraph) and ‘one of the most influential gay men of this century’ (Independent on Sunday). After his speech Peter will be in conversation with guest curator of Homotopia 2018, Cheryl Martin. Cheryl is an award-winning writer and director whose new work on HIV I Am Because We Are will tour internationally in 2020. Her first poetry collection Alaska was longlisted for the 2015 Polari Prize and her shows have been performed at festivals across the UK and received 5-star reviews from The Stage, Gay Time and Gay UK.